Since its founding in 1977, Almarai has grown via strategic investments, becoming the largest producer and distributor of food and drink in the Middle East with a market capitalisation exceeding $12.5 billion. The company’s main objective has always been the commitment to consumer satisfaction, maintained by the drive for constant innovation. In fact, Almarai’s production, marketing, and distribution structure enables the daily distribution of products to over 110,000 retail outlets across the six Gulf Cooperation Council (GCC) countries , plus Egypt and Jordan. cold chain distribution. 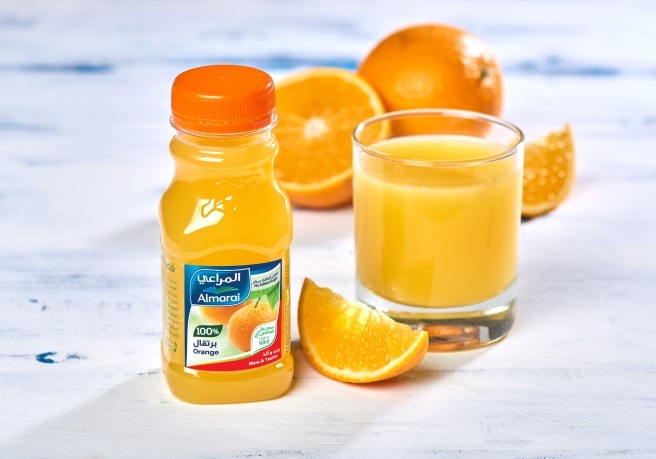 This opportunity was especially driven by the great consumer preference around it: part of a range offering twenty taste possibilities, as such perfectly reflecting the major trends impacting the beverage market in Saudi Arabia. There, the search for more healthy and natural formulations is expected to influence juice sales considerably. The two Combis supplied to the Al Kharj site are equipped with a Sidel SF100 filler, ensuring optimum uptime and the highest productivity. Its ‘dual speed’ valve allows consistent performance and the best drink quality, especially when handling beverages with pulps. Additionally, both magnetic flowmeters and filling valves are equipped with plungers, leading to higher accuracy and more efficient filling and cleaning. In fact, the system allows for no clogging and an easier removal of pulp residual. For greater product safety and ease of operations, the tight enclosure with HEPA filter allows for top hygiene, while Cleaning In Place (CIP) requires no intervention from operators thanks to the automatic dummy bottles. Benefitting from Sidel Group’s expertise as a full solution partner, Almarai went for Gebo Cermex’s solutions to optimise its end-of-line performance. Two shrink-wrapping systems have been installed to manage three different pack configurations: 6×4, 2×3 and 2×3 bottles as clusters. For additional flexibility at a very high speed (67,500 bph in overspeed), a shrink-wrapper is handling single squared bottles in mass flow, putting them in tray plus film, while the other one is managing both single bottles and cluster packs of bottles through special selection fingers with rollers identifying the clusters according to product grouping or batch. To ensure a consistent and reliable output for greater pack quality – a challenging objective considering the small diameter of the bottle – the machine has been suitably equipped with a 3D inspection camera, detecting missing containers in the tray before shrink-wrapping them. Moreover, the shrink-wrapper’s extractable injection table allows for easy maintenance and stable film handling.